She performs solo or with her own group, and also is a member of the Women of the Village Orchestra and the John Coltrane Memorial Concert 1998. Nuru has been playing and teaching music since 1976 and full time since 1983. She has given workshops, lectures seminars, and classes at a wide variety of institutions from primary schools to colleges and holistic health centers. She has also established musical education programs in secondary schools. Her music school, Universal Vibrations School of Oral Traditions, has trained several thousand people in percussion technique, history, cultural origins, and the religious background to drumming. Nuru is considered one of the most influential woman elders and an inspiration of fusive and traditional spiritual drumming, nationally and internationally. Nuru offers a unique style of instruction, teaching an oral language corresponding to percussion instruments. Student vocalize - call and response - as well as implement technical skills. The instruments she teaches include conga, djimbe, djundjun, cowbell, agogo bell, clave, sabar drum, balafon, shekere, and others in the West African, Caribbean, and African American styles. Her aim is to further the development of this holistic use of music. In 1985 Nuru attended the UN NGO Womens Conference in Nairobi, Kenya with a 3 women theatre group to perform in villages, schools, and universities as well as at the conference. In 1992, she went to Senegal and Gambia with two of her students to study the Manding and Djola cultures. In 1987 Nuru was happy to visit the homeland of her much loved AfroCuban rhythms, Matanzas, where she was asked to sit in and play with world renowned groups such as Afrocuba de Matanzas and los Muñequitos. Ever since, she has remained closely connected with Matanzas and served as a link to practicioners of AfroCuban culture and spirituality, such as Pedro "Pello" Tapanez and Zulima Escheverria. Nuru can be heard on over 16 recordings, including Ancient Mother, One Spirit, Drum Call, the Big Bang. She worked with Robert Gass on the CD Ancient Mother. Her cut "Yemaya" on that CD caused people around the world to write her fan letters. She toured nationally with Kay Gardner in 94, performing their duo, "One Spirit," produced on Ladyslipper Music, which unites flute and drum, combining European, Native American and African roots. 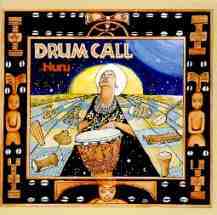 Ladyslipper Music released Nuru's own CD, entitled "Drum Call," in July, 94. It presents traditional Yoruba chants and contemporary music styles, a reflection of her journey through America and our roots abroad. The title cut, "Drum Call," the traditional cue to drummers, was in a surprisingly hip hop style and appealed for an end to the violence epidemic running through the world especially with our youth. Ellipsis Records selected her cut "Oggun" from Drum Call to feature on their Big Bang compilation in 95. Nuru has appeared on local Boston TV shows such as "Say Brother" with author Hattie Gossett and "Roots" which featured her life story and mission as a cultural griot. She scored and played all the percussive music in the independent 1991 film, "Its a Powerful Thang" produced by Zeinabu Irene Davis. In 1994, her opening performance at Bostons Museum of Fine Arts for the film "Sankofa" was filmed and won an award. She has been experimenting with video and cable, developing a sense of how to move her music and traditions to the new medias, including the Web. Nuru is on a mission to use music as medicine, to bring together diverse cultures and their music as a means for increasing communication, education, and spiritual enlightenment.